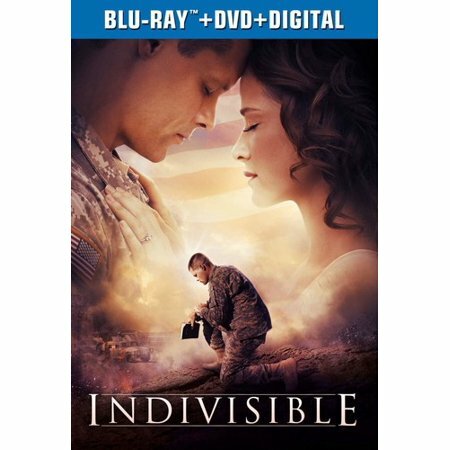 LOS ANGELES – Nov. 28, 2018 – INDIVISIBLE, the inspiring, new film that offers hope for every marriage, is releasing to home entertainment on Blu-ray™ combo pack, DVD and Digital Jan. 29. INDIVISIBLE will be available on DVD in Christian Booksellers Association (CBA) stores and on DVD and in a Blu-ray™ Disc/DVD/Digital combo pack elsewhere. INDIVISIBLE is produced by Reserve Entertainment, Provident Films, The WTA Group, Graceworks Pictures and Calvary Pictures. The home entertainment version is distributed in CBA stores by Provident Distribution and into the general consumer market by Universal Pictures Home Entertainment. Provident Films, a division of Provident Music Group, a Sony company, develops, produces and markets faith-based films. A pioneer in the genre since 2006, Provident Films’ partnerships include Sherwood Pictures/Kendrick Brothers (WAR ROOM, COURAGEOUS, FIREPROOF and FACING THE GIANTS), The Erwin Brothers (WOODLAWN, MOMS’ NIGHT OUT, I CAN ONLY IMAGINE), Kirk Cameron (CONNECT) and Graceworks Pictures (INDIVISIBLE). For more information, go to www.providentfilms.org. Universal Pictures Home Entertainment (UPHE-http://www.uphe.com) is a unit of Universal Pictures, a division of Universal Studios. Universal Studios is a part of NBCUniversal, one of the world’s leading media and entertainment companies in the development, production and marketing of entertainment, news and information to a global audience. NBCUniversal owns and operates a valuable portfolio of news and entertainment television networks, a premier motion picture company, significant television production operations, a leading television stations group, world-renowned theme parks and a suite of leading Internet-based businesses. NBCUniversal is a subsidiary of Comcast Corporation. Founded in 2005, and led by partners Michael Scott, David A.R. White, Elizabeth Travis, Alysoun Wolfe, and Jim Ameduri, Pure Flix is the leading independent faith and family studio in the world. Pure Flix’s recent releases include: God’s Not Dead: A Light in Darkness, Samson, The Case for Christ, God’s Not Dead 2, God’s Not Dead, Do You Believe?, Woodlawn, A Question of Faith and Same Kind of Different as Me. With offices in Los Angeles and Scottsdale, Pure Flix has produced, acquired, marketed and distributed over 100 faith and family-friendly films. Aligned with their vision to influence the global culture for Christ through media, Pure Flix is the industry leader in creating high-quality inspirational feature film content. The studio’s official website is Pureflixstudio.com. The company also features a leading streaming video on demand service with thousands of movies, originals, TV shows and more, emphasizing faith, family and fun. For more information, go to Pureflix.com.